The Beauty Chain is delighted to use and be stockists of Dermalogica, America's first professionally-developed skincare system and a pioneer in education and product development for over 30 years. Using the special systems provided by Dermalogica our skin therapists can design a personalised treatment especially for you. All types of skin can be treated and we specialise in Sensitive, Ageing, Acne, Dry or Oily and Pigmentation. Your skin treatment will be customised at every step using the Face Mapping analysis which divides the face into fourteen distinct zones, assessing individual problems and needs. The brand ethos is: when Dermalogica meets skin, skin health is redefined. We're dedicated to developing skin health results through education, innovation, and professional recommendation, not through sparkly packaging, promises of miracle cures, or overblown hype. 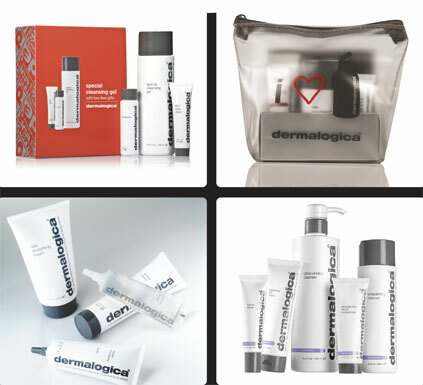 Why not come in today to try a Dermalogica treatment or shop for a range of Dermalogica products and gift sets!